W hen it’s time to change your lamp on your Sanyo PLC-EF30 projector, you’ll notice the yellow light blinking on the lamp indicator. Be sure to use the same type of Sanyo projector lamp bought from a verified source that has been manufactured to meet the specifications. Use model POA-LLB02 / POA-LMP39 (service part no 610 292 4848) as your Sanyo projector lamp replacement. Resist the temptation to buy a cheaper POA-LLBO2 or POA-LMP38 counterfeit model as this can damage the sensitive mechanisms in your Sanyo PLCEF30 projector. 1. Check the number of Sanyo POA-LLB02 / POA-LMP39 (service part no 610 292 4848) lamps needing to replaced on the Lamp Status Display. You may need to replace both lamps. 2. Turn off the projector and unplug the AC cord. 3. 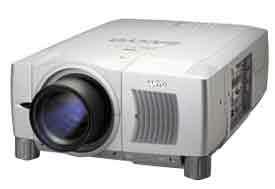 Allow the Sanyo PLC-EF30 projector to cool for one hour – it should be cool to the touch. Inside of the projector can be very hot since these machines operator under high temperatures. 1. At the back of the Sanyo PLC-EF30 projector you’ll find the Lamp Hazard cover. Using a Philips screwdriver loosen the three screws that hold the cover in place. Put the cover to one side. 2. 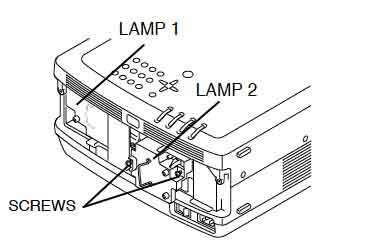 Remove the two screws on either side of each the Sanyo POA-LLB02 / POA-LMP39 (service part no 610 292 4848) lamp. Grab the handle on the lamp cage and gently pull out each lamp. Place those lamps to one side. 3. Take the new Sanyo POALLB02 / POA-LMP30 (6102924848) lamp cage by the handle and gently maneuver it into place. 4. Avoid touching the glass or the bulb. It should slide it easily – don’t force the lamp. 6. Replace and tighten the three screws on either side of Lamp Hazard Cover. 7. 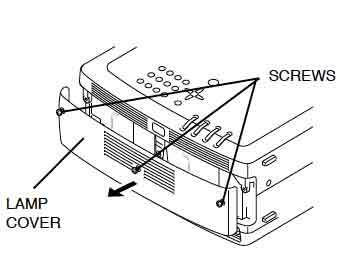 Re-connect the power cord and turn on the Sanyo PLC-EF30 projector. Reset the Lamp Replacement Counter only when the Sanyo POA-LLB02 / POA-LMP39 (service part no 610 292 4848) lamp has been replaced. Turn the Sanyo PLC-EF30 projector on. Press the Menu option so the On-Screen Menu will appear. Press Point left/right button(s) to move a red frame poster to Setting Menu icon. Press Point Down button to move the red frame pointer to Lamp counter reset and then press the Select button. Move arrow to replace lamp number (Lamp 1 or Lamp 2) and then press Select button. 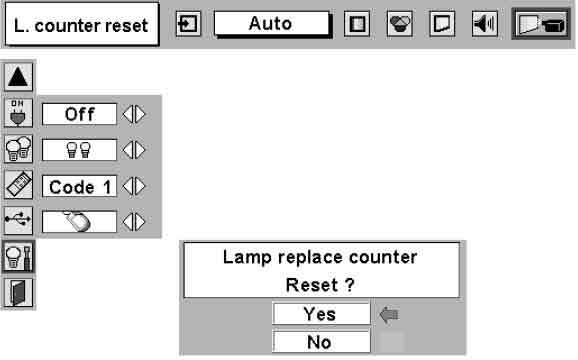 The message “Lamp replace counter Reset?” will be displayed. Move the pointer to YES and then press Select button. Be sure to reset the correct lamp number otherwise Lamp Replace indicator continues lighting. 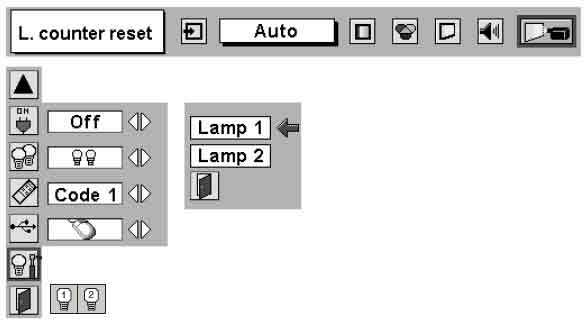 The Lamp box will disappear and the Lamp Replace Dialog box appears. Select YES to reset Lamp Replace Counter. Do not reset Lamp Replace Counter except after the Projection Lamp has been replaced. NOTE: When the Lamp Replace Counter is reset, the Lamp Replace indicator stops lighting. Prolong the life of your newly installed Sanyo POA-LLB02 / POA-LMP39 (service part no 610 292 4848) by waiting at least five minutes before turning the Sanyo PLC-SU32 projector off and turning the projector off for at least one hour turned off every 24 hours. Cleaning the air filter regularly will also prolong the life of the Sanyo POA-LLB02 / POA-LMP39 (service part no 610 292 4848). If you are looking an option that is more eco-friendly and can save you some money, consider replacing only the lamp and re-using the original lamp cage. Watch our step-by-step tutorial to learn more.